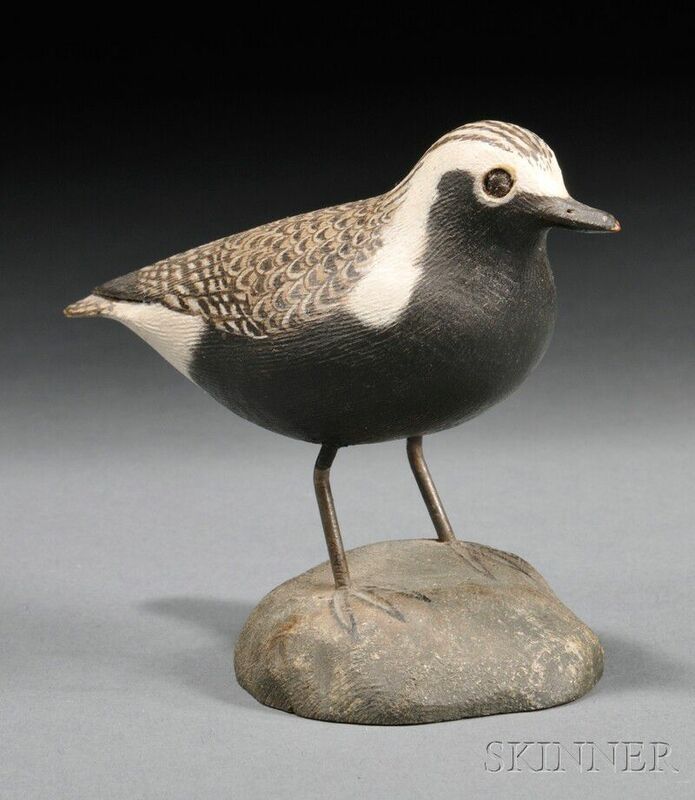 Jess Blackstone Miniature Carved and Painted Black-bellied Plover Figure, New Hampshire, 1947, carved wooden bird mounted on a rock-form base, identified, signed "JB," numbered "1," and dated "1947" on the base, ht. 2 7/8 in. 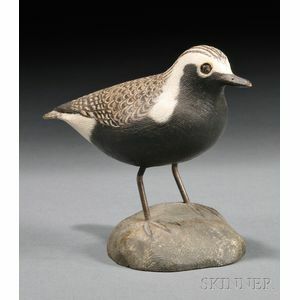 Provenance: Acquired from Jess Blackstone's widow, Edie Blackstone.